Due to the tropical weather that we have here in the Philippines and the acne break-out I had, my pores are really huge and visible! 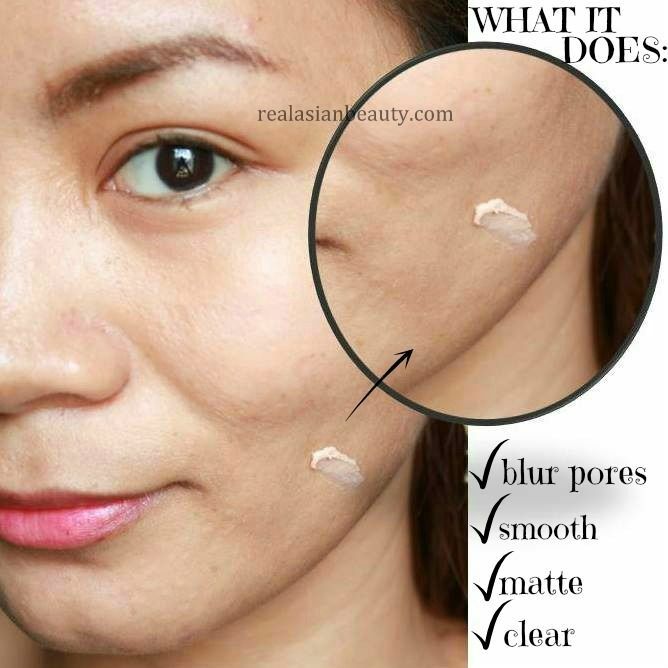 Being exposed to a lot of Korean stuff, I have come to realize how pore-less these people are! So I became more conscious of my pores and I always try to find products and treatments to help minimize the appearance of my pores. 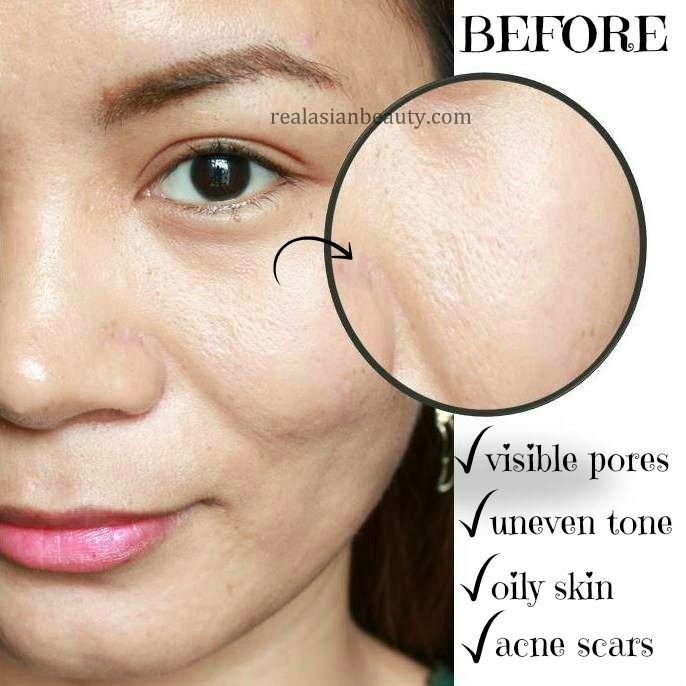 Here's a product that a lot of people are raving about because it claims to smoothen skin, minimize the appearance of pores and makes foundation last longer and skin to appear smoother. This one-of-a-kind matte makeup primer is scientifically formulated to wear under bronzers and foundation powders or alone to achieve the look of flawless skin without makeup! Vitamins A & C Mulberry extract and a powerful dose of Retinol, virtually banish pores. Tired skin is left hydrated, firmer and detoxified thus creating the perfect canvas to allow powders, bronzers and foundations to airbrush onto the skin seamlessly. Skin appears brighter, fresher and younger. Color stays true and in place all day. The product comes in a squeeze-tube for easier dispensing. It also allows you to control the amount of product that you squeeze-out. 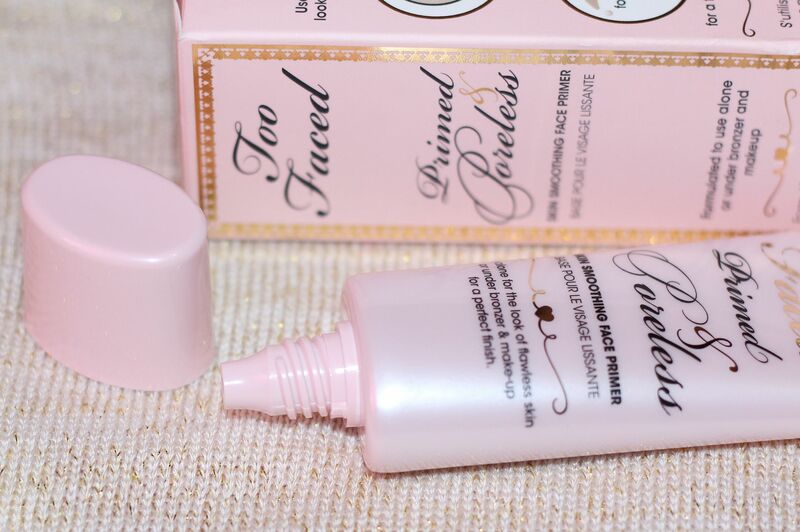 Too Faced Primed and Poreless is one of the bigger tube primers in the market. Other brands that range the same price as this product come in smaller and slimmer tubes. That alone makes the product a stand out! Ready? Here's how my skin looks without any makeup on. 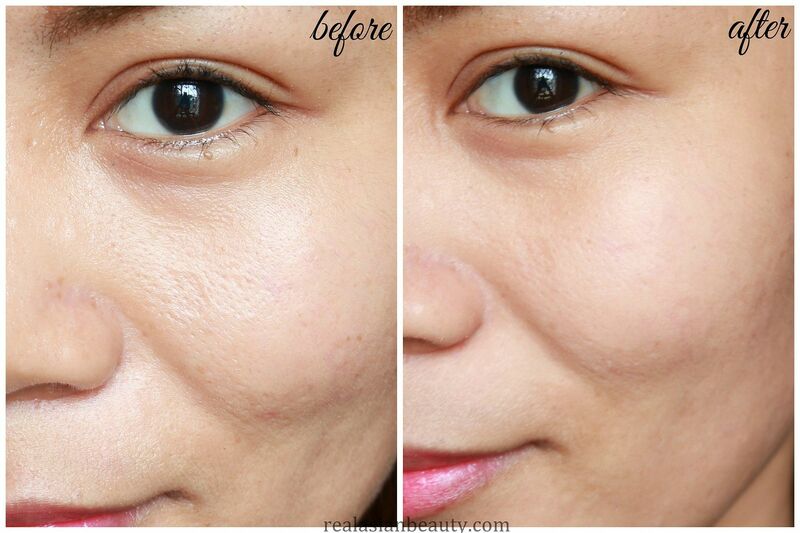 The 4 major skins problems that I have are : visible pores, uneven skin tone, oily skin and ugly acne scars. Since I have large pores, I noticed that when I do not apply any primer, the powder just sits on my skin but doesn't fill the pores, thus making my skin appear even more unflattering. 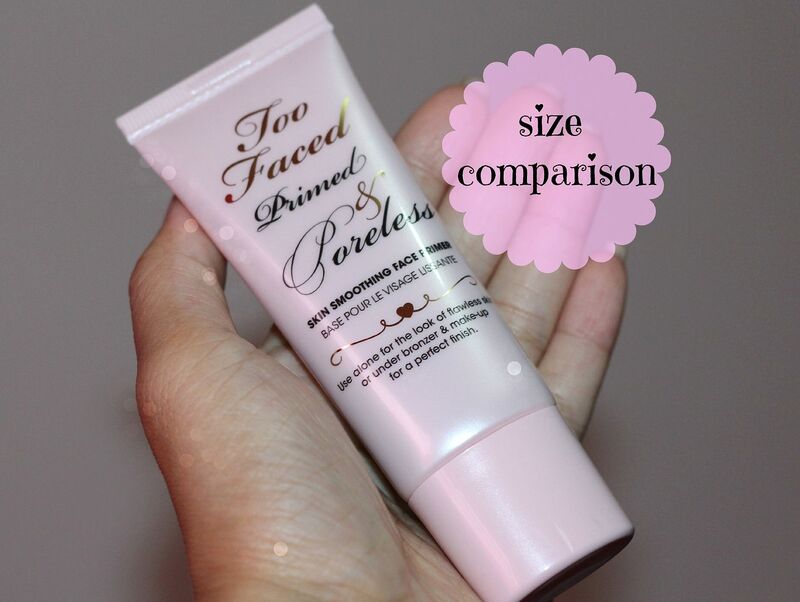 Too Faced P&P primer promises to create the perfect canvas to allow powders, bronzers and foundations to airbrush onto the skin seamlessly. Skin appears brighter, fresher and younger. Here's how my skin look after applying the primer. As you see in the picture, my pores have been blurred out. 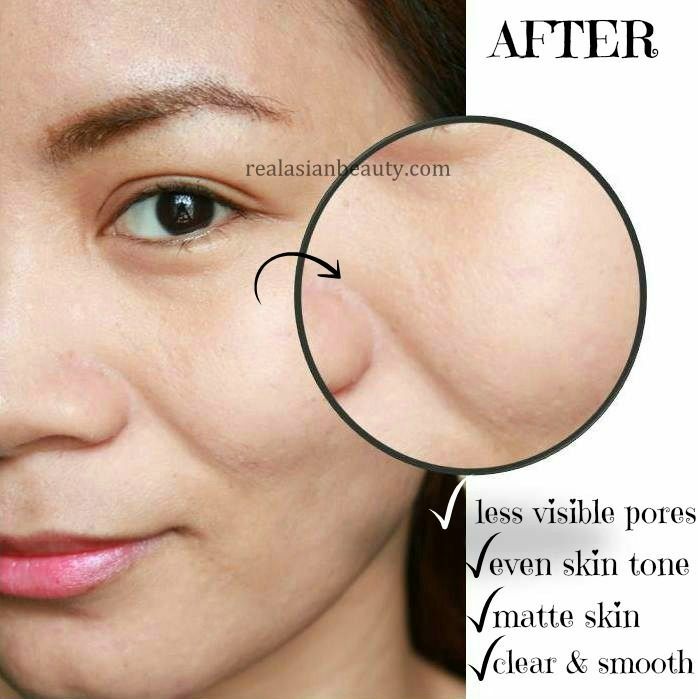 The product works by leaving a thin layer of smooth film to make the appearance of pores and lines less visible. It also makes powder and foundation stay longer onto the skin. What I liked the most was that it left my skin looking really matte, without any trace of oil and shine! 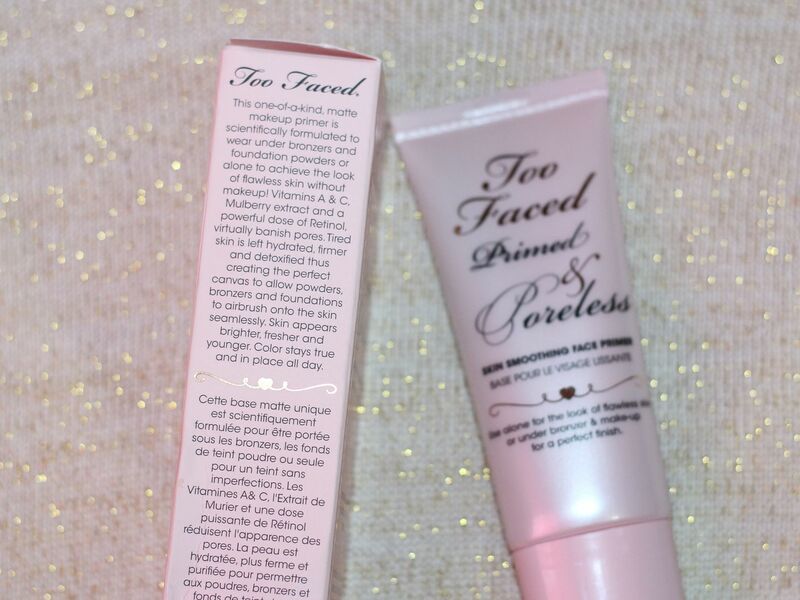 For a better comparison, here is a photo of my skin before and after applying the Too Faced P&P Primer. Over all, this is a very nice primer! I also like that the tube is bigger than other primers which means it will last longer! 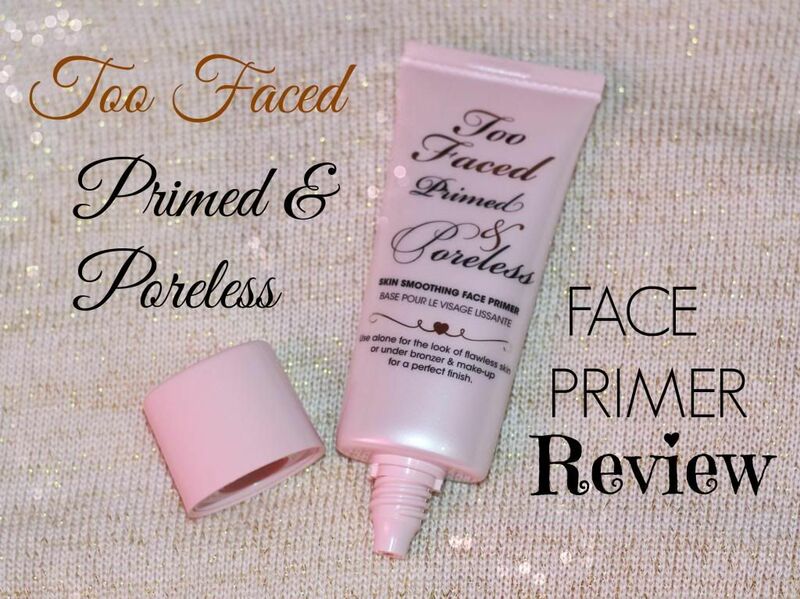 I really recommend this primer! People say this is in par with the Benfit Porefessional Primer...but I haven't tried that one yet! I will purchase it soon and then I'll do another review!